The title of this post might make you have scary flashbacks to every english class you’ve ever taken, but trust me- there’s a way to make writing useful and even make you a happier, better person. It’s easy to feel down after coming back from traveling and being thrown back into the mundane ways of your everyday life, but writing can be a useful tool for reliving the magical moments of your trip. It can also give you the feeling of having purpose. Maybe your writing this for yourself, your family, your friends, or an even bigger platform (like a blog)! Don’t wait too long to compile your memories and put them down on paper. It will help you reflect on your recent travels and figure out how you’ve personally changed. The writing can be any format you want. It can be as short as a few sentences or as long as a novel. It can be poetry or paragraphs- either way tap into what you felt, saw, heard, smelled, ate, laughed at, and cried at during your journey. 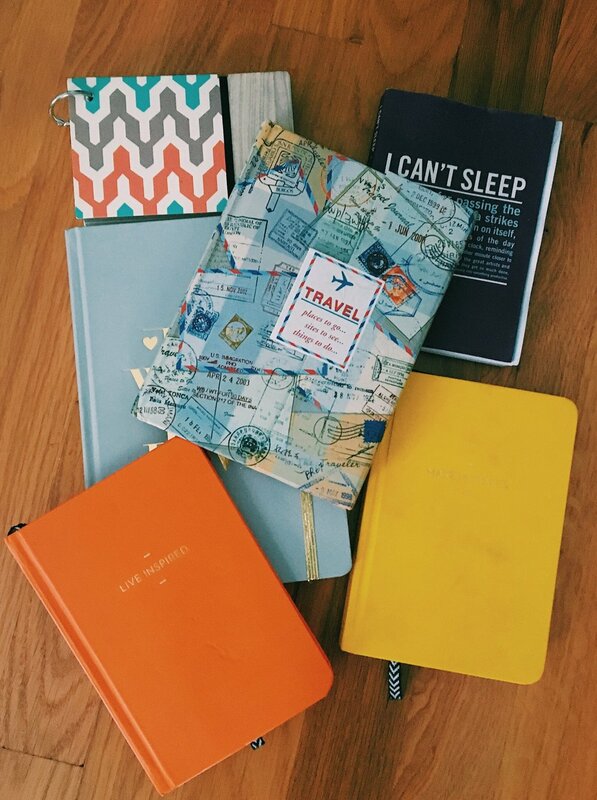 I keep several different journals at the same time, but each is about something unique. One is even dedicated to one trip I really miss (that’s how specific you can get with your writing)! Writing has also helped me through the dark times of missing someone far away, and whether that distance is physical or emotional picking up a pencil can save you. I write a lot about the good times I had with certain people on past trips, and sometimes it hurts to put happier times into words. However, keeping the memories and pain inside of you only makes it worse. If you miss someone write about the love you shared together, what you’d do if were together right now, what you wish you had said to them, really anything you’re thinking. Don’t be afraid to right down something that hurts you. Once again you can keep this for yourself or you can even send it to the person it’s about. Chances are they are feeling the exact same way. Chances are they will send something back that’s going to make you smile. And maybe they don’t respond or you don’t want to send it to them, and that’s okay too. Releasing the thoughts in your head into organized writing is an extremely useful way to keep moving forward, and it will give you a tremendous sense of hope that the same feelings are possible to feel again!